Achieving silage success means carefully managing pasture growth, residuals, storage and feeding out. DairyNZ suggests a focus on pasture quality, not quantity, is the key. DairyNZ farm performance developer Maitland Manning explains. Managing surplus pasture growth in early summer is important in achieving ongoing pasture performance. In November/December, reproductive tillers appear, elongating into less easily-digested stems and seed heads, dropping pasture quality. Leaving high residuals in early summer won’t help fill a feed deficit later, as there is reduced pasture growth and quality in those later months. Silage is one way to use up a true surplus and ensure you continue to hit residuals in preparation for summer. Lighter crops, harvested earlier, produce better silage. Our research shows closing a silage area two to four weeks after balance date significantly drops its pasture quality, as seed heads emerge within three weeks. So harvest with an eye on quality pasture not quantity. A post-grazing residual close to 1500 kilograms of dry matter per hectare (kg DM/ha) helps to maximise silage quality. Our trials showed that for every 100kg DM/ha above that, DM/ha pastures should be closed for 1.4 days less. 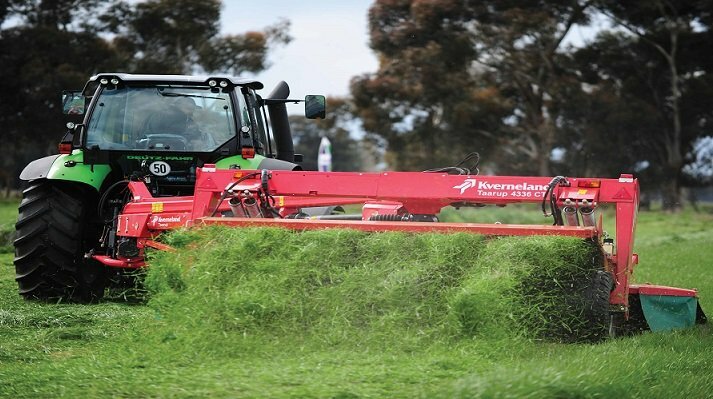 Minimise exposure to air when harvesting pasture and stacking or baling it up for silage. Even in good harvesting conditions, you can lose between five to 10 percent of pasture: in the worst, up to 25 percent. Select paddocks that minimise machinery turns (corners, obstacles). If you’re using a stack or pit, make sure it’s well-packed and covered promptly. All silage should be given time to ferment before feeding out. Depending on the inoculants used, any silage stack or bale should not be opened for three to four weeks after closing. Shape stacks and pits to suit herd size and clean the stack face daily, so it’s not exposed to air for longer than 24 hours. Movement of the silage within a stack should be minimised (use a block cutter/shear grab). Wastage at feeding out is best reduced by using a feed pad so cows cannot trample the silage into the ground.